It is really difficult to express gratitude for people who help you when you require the most. People unable to express their emotions find writing a Volunteer Thank You Letter of appreciation an easier way. But, not everyone knows how to express in a formal way. 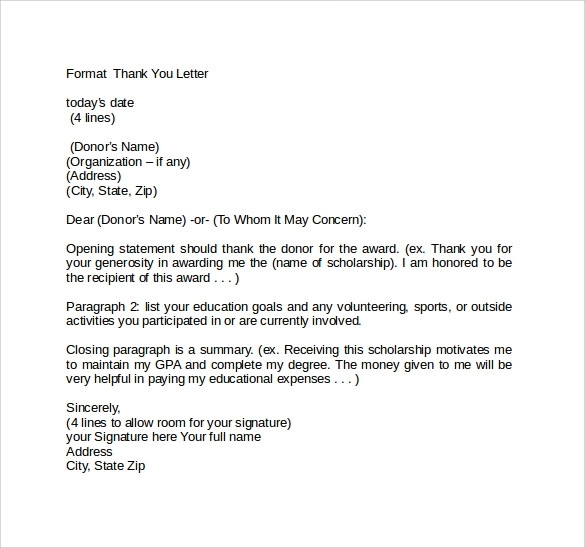 Here, we provide you some of the most sought after thanking you letter formats. 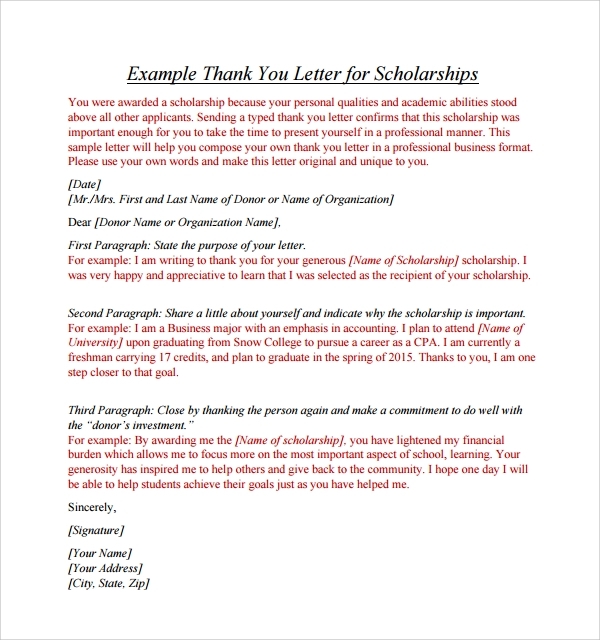 A basic thank you letter should state your gratitude and your values simultaneously.If you are awarded a scholarship in college, you can write a well-framed thank you letter. The first paragraph should mention that you felt honored by committee’s gesture. 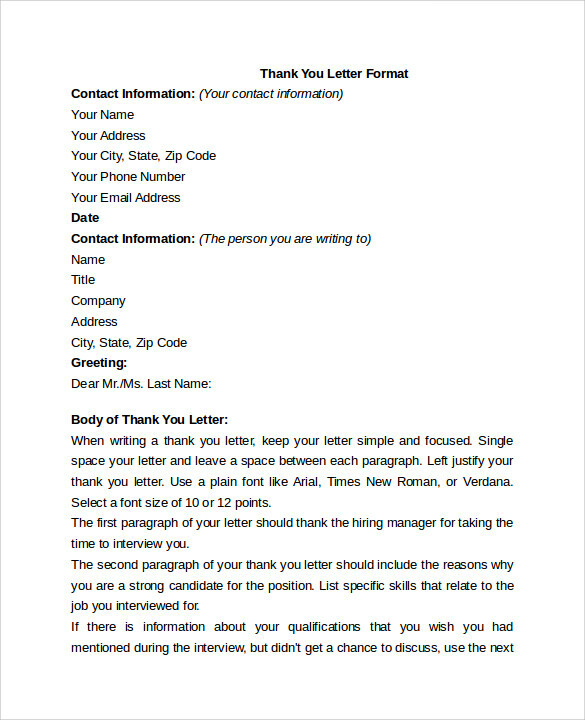 In the second paragraph, you can mention why you are a suitable candidate and in the third and last paragraph you can mention your achievements.You can end the letter with your signature, address, and date in the end of the letter. In this two paragraphed letter, you can mention your name and address details on the top right. After this, mention recipients name and address on the left side. In the first paragraph you can state the reason for being thankful and how it helped you in your career goals. This can be done in a loan application, job search application, etc. In the end, you can sign letter above your full name at the bottom. In the next few lines write the name, designation, address, date of writing letter, and the subject of the letter. 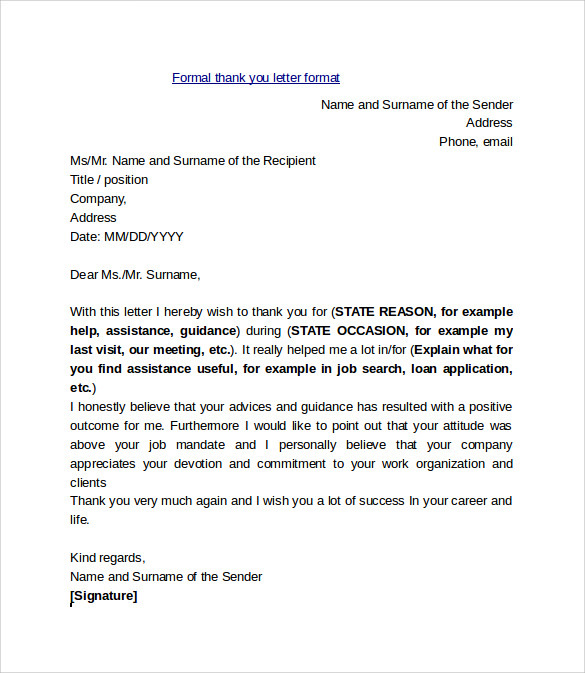 After giving proper salutation, in the first paragraph, inform sender of getting selected for the job position for which the sender helped you. In the second and last paragraph, you can thank sender for all the help provided by him in your selection. 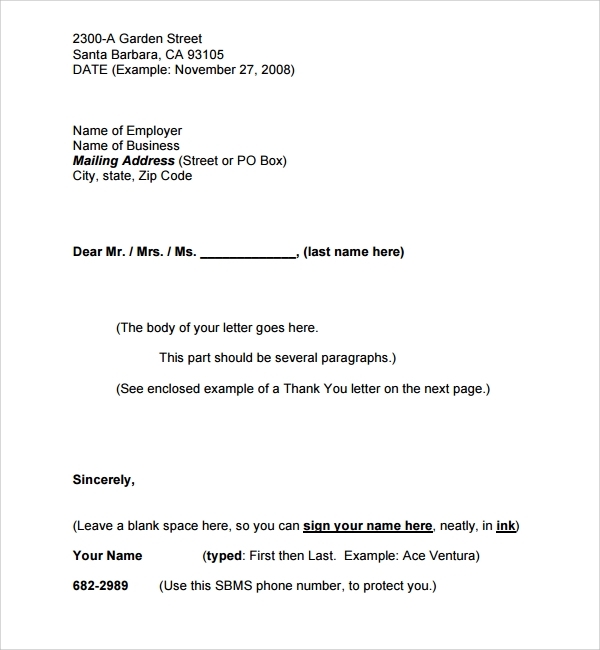 End the letter by writing your name, job title, and company address. 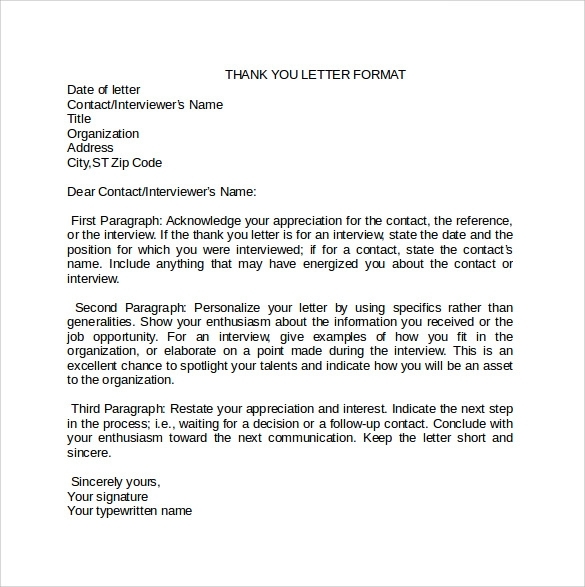 You can start this letter with date, interviewer’s name, designation, his organization, and its address. After proper salutation, in the first paragraph, recognize the help provided by contact for interview or reference. In the second paragraph, mention specifically the help provided by him with enthusiasm. Also, express how you fit into the given position and his help gave you the chance you needed most. End the letter with your signature and name written on the bottom. Thank your colleague for a gift given by him with the letter. Start the letter with your address and then his name, designation, and address on the left side. In the first paragraph, state thank you clearly in the beginning. Mention gift’s name to give the letter a personalized touch. In next and the last paragraph, mention the utility of gift in your life and thank again. Close the letter with your sign and name below it. 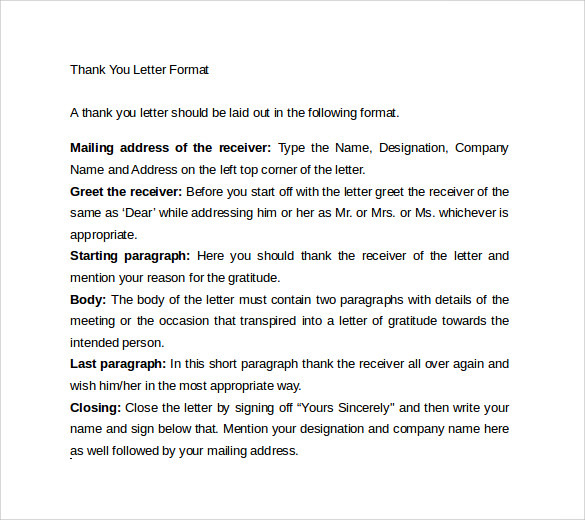 For any type of thank you letter, you can write the name of receiver, designation and company name, address of the company in the beginning left top corner. After proper salutation, in the first paragraph, thank the receiver with reasons. In next paragraph, mention in few lines how his gesture helped you. In the end, thank receiver again for this kind gesture in a simple and clear way. Finish the letter by signing off “Yours Sincerely” and sign the letter just above your name, company name, your mailing address. For this letter format, give your full name and contact details in the beginning. Then, mention the date and contact details of the sender. 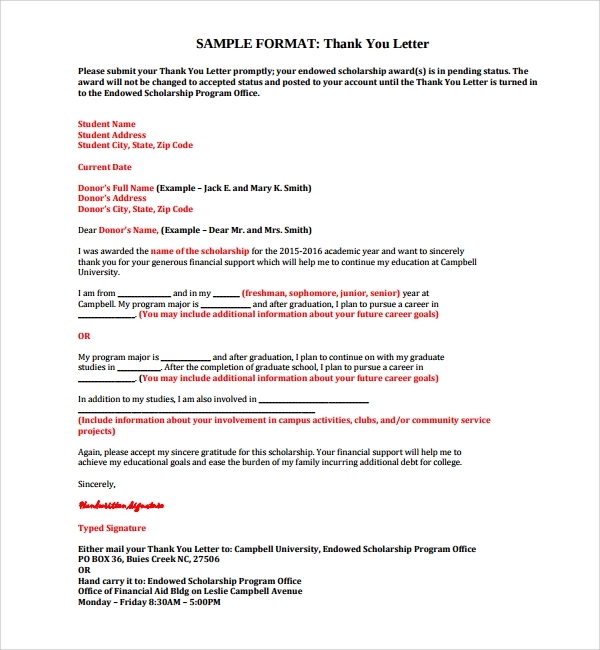 You can write a simple and clear thank you letter, mentioning all the important details in the first paragraph. Try to keep font Arial or Times New Roman with font size 10 or 12. In the second paragraph, you can mention why you are most suitable for the help given to you and how it helped you a lot. In the end, you can sign off with your signature above your name and address. Like other formats, mention your name, address, email on the left side of the letter. You should use Times New Roman font, size 12 point and try to limit your letter to one page. You should give spaces at appropriate places like before and after every paragraph. 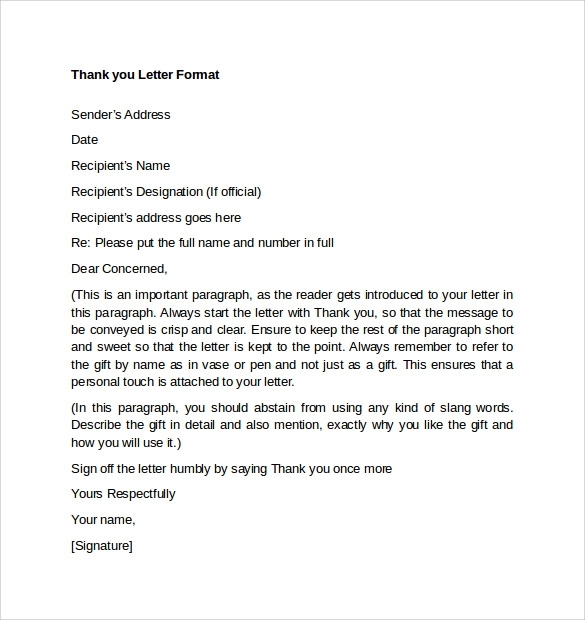 Divide the main letter into three paragraphs with first one stating the purpose of the letter, the second one providing the reasons why you are being thankful, and third or last one reinstating your appreciation towards the letter receiver. End this letter with your sign above your name and date of signing letter. 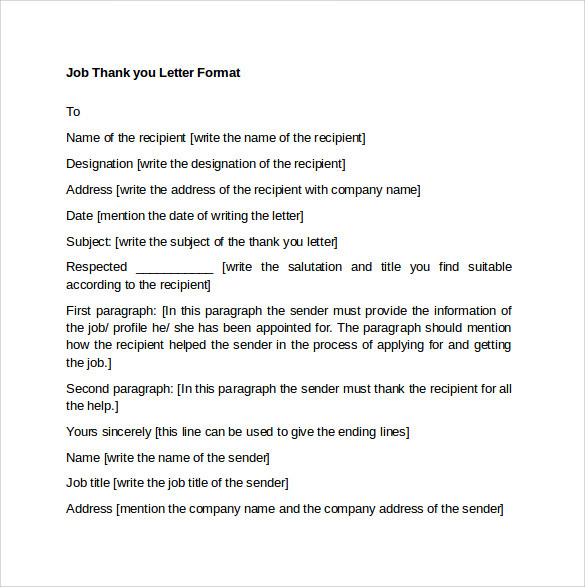 Hence, using the above given thank you letter formats you can easily express your gratitude in a simple and straight manner. Always remember, that a thank you letter needs to be edited well before sending. Do check the spellings and make sure that your enthusiasm is conveyed. These templates help you achieve the purpose well.